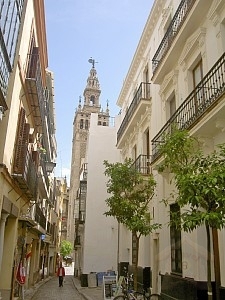 This apartment is a new building located in the heart of the city, perfect to people who want to discover the fabulous city of Seville. 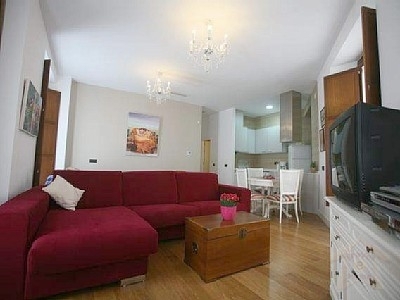 The apartment is completely furnished with one bedroom and one sofa- bed, perfect for couples or families. 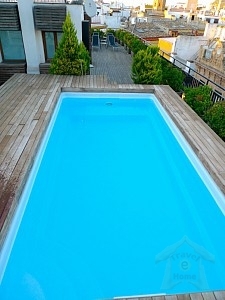 It also has an awesome flat roof with a swimming pool with a beautiful aerial view of the famous Giralda. It is the perfect self-catering alternative to hotels for short term vacations. 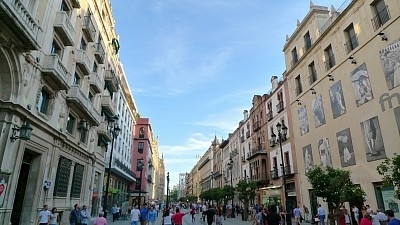 The apartment has a fantastic balcony on the corner of Placentines and Argote de Molina. 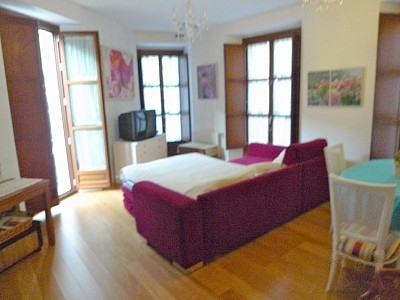 Prices per 2 persons, plus 10€ per person\\day.